Self storage facilities have clean, well-maintained units, modern climate control technology, CCTV monitoring, advanced security systems, and smart fire alarms. These features make them the ideal place for storing items that you would want to keep in excellent condition for years on end. Wooden and leather furniture pieces are made of materials that deteriorate when exposed to changing weather and environment conditions. If exposed to excessive moisture, wood may split apart or even decay, whereas leather fades and is prone to developing mold and mildew when not stored properly. Climate control technology can help you keep your expensive furniture in their pristine condition and quality. Museums follow strict climate control regulations to ensure all precious works of art in their safekeeping are protected from damage and deterioration brought on by time and changes in temperature. Whether you have a Boticelli, a Van Gogh, or even your very own creations in your collection, it’s best to store these pieces in a climate-controlled environment to preserve their beauty and quality. The same goes for your art supplies and equipment – be it fabrics, canvases, and special types of paper. 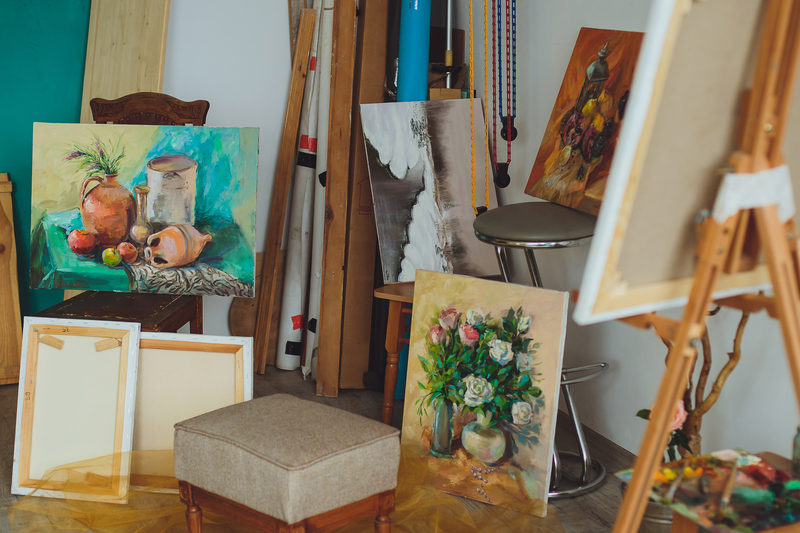 Aside from your artwork collection, you can also keep your collection of books, comics, stamps, movie posters, vinyl records, LEGO, action figures, and other collectible items in your self-storage unit. This gives you more free space at home, while making sure all your prized possessions are well-protected. Do you have spare meeting tables, office chairs and filing cabinets? Keep them in good shape and don’t let your assets go to waste. Whether you’re in between moving offices, or downsizing at the moment, you can safely keep your office equipment at our business storage facilities. From your latest OLED TV to the very first computer you owned, you can keep them all at your self-storage unit. Like other valuable items, electronic gadgets and appliances last longer if you store them in a safe and secure indoor environment with regulated temperature. Got a tripod or a camera lens you only use when traveling? Keep them at your self storage unit for now! Whether it’s your personal documents or your company’s official records that date back decades ago, storing them in your business storage unit will help keep the print clear and readable for years to come. Plus, you get to make space for more recent documents that you need to refer to more frequently. With the extreme summer and winter temperatures in Dubai, having seasonal clothes is a must. The good news is, you don’t have to stuff your wardrobe with all these clothes, shoes and accessories. When you’re not using them, you can store your summer dresses and winter boots and jackets in your personal storage unit. Not only do you get extra space in your closet, but you extend the life of your favorite outfits. Winter is generally a great time to go camping. But during those months when the heat can be unbearable, and you don’t really use your camping gear, it’s best to put them away and just retrieve them when the weather starts cooling down once again. Store your tents, sleeping bags, fishing equipment and other outdoor gear you rarely use.